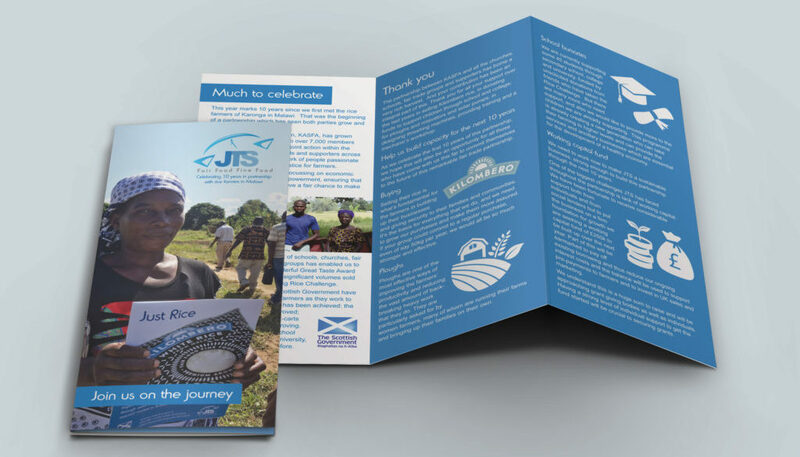 To celebrate 10 years partnership with rice farmers in Malawi, we worked with Just Trading Scotland to design and create a stylish tri-fold leaflet to commemorate the occasion. JTS is incredibly proud of the partnership developed in the North of Malawi and the way this has led to improved education, living standards and working standards throughout the farms of Karonga. We were proud to be involved in helping JTS celebrate this brilliant achievement and milestone.